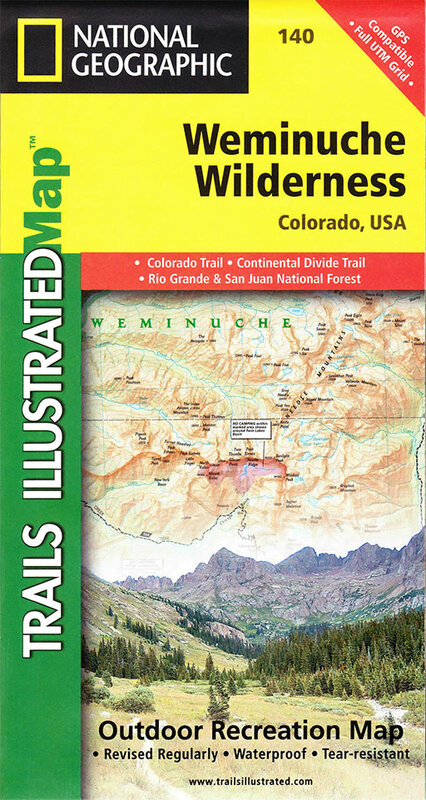 The Trails Illustrated Weminuche Wilderness map (#140) is a topographic trail map of the Weminuche Wilderness area of Colorado. 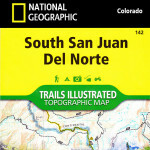 Designed with the outdoors in mind this map is printed in color on durable tear-resistant plastic. It is everything you need to navigate the trails of the Weminuche. 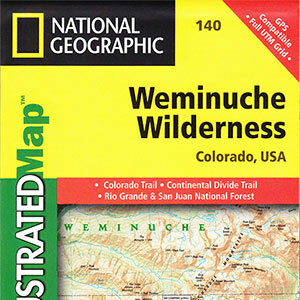 Covers nearly entire Weminuche wilderness area of southern Colorado. 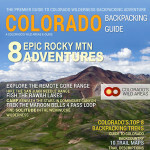 Includes coverage of the following trails: a portion of the Continental Divide Trail and the Colorado Trail, Highland Mary Lakes trails, Cunningham Gulch Trail, Elk Creek Trail, Emerald Lake, Weminuche Trail, Flint Creek Trail, Vallecito Trail, Endlich Mesa Trail, City Reservoir Trail, Burnt Timber Trail, Lime Mesa Trail, Needle Creek Trail, Squaw Creek Trail, Hossick Creek Trail, Goose Creek Trail, West Fork Trail, Fourmile Stock Trail, Middle Fork Trail, Indian Creek Trail, and more. 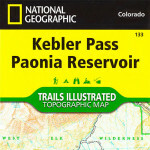 A sample portion of the Weminuche Wilderness Illustrated Map #140 is provided below. 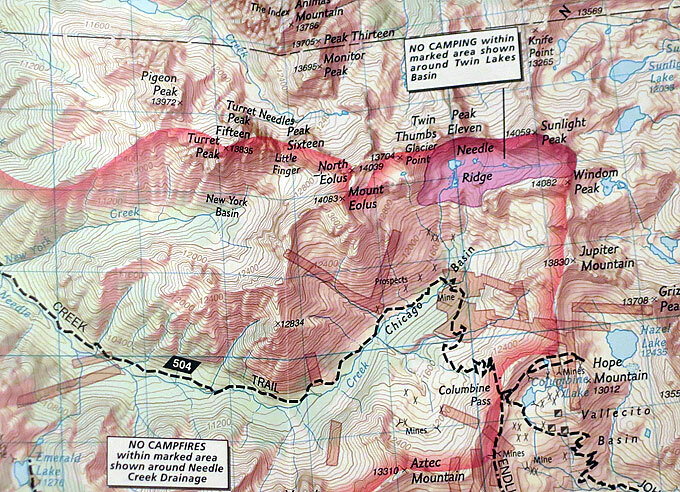 The red line on the map below gives an approximation of the Weminuche Wilderness Trails Illustrated Map coverage.